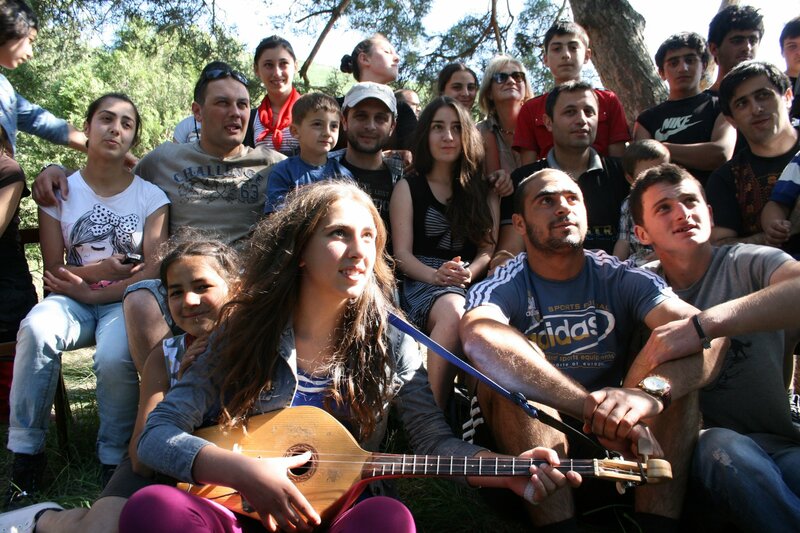 In September 22, 2012 in Leuville the 90-year anniversary of foundation of the Georgian Immigrants’ Community in France was celebrated. 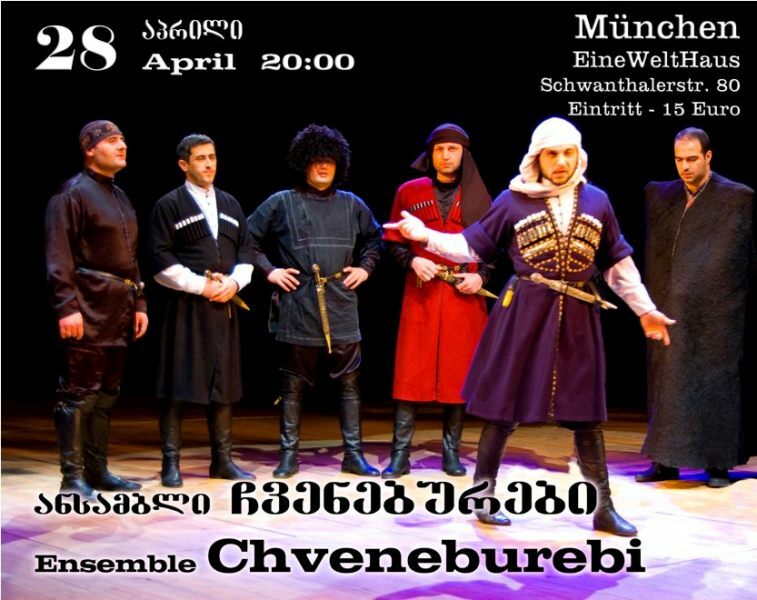 During the celebration Othar Pataridze - One of the outstanding representatives of "French" Georgians read the congratulation letter of Folk Group Chveneburebi to the Georgian immigrants' public and then this unique song recorded by ensemble was sounded. 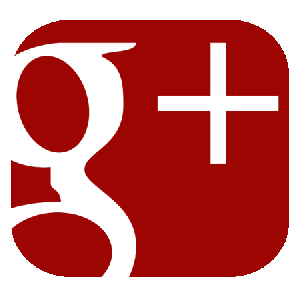 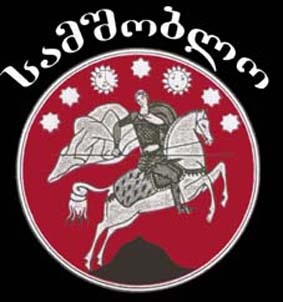 In September 22, 2012 in Leuville the 90-year anniversary of foundation of the Georgian Immigrants’ Community in France will be celebrated. 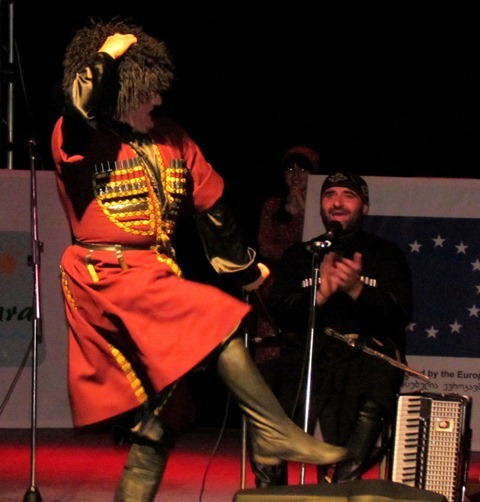 The Embassy of Georgia celebrated Independence Day and 20th anniversary of establishing diplomatic relations with the Republic of India. 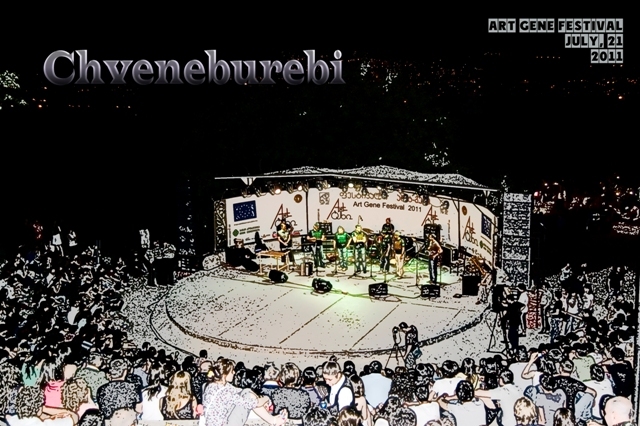 CHVENEBUREBI IS 10 YEARS OLD! 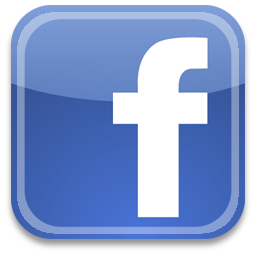 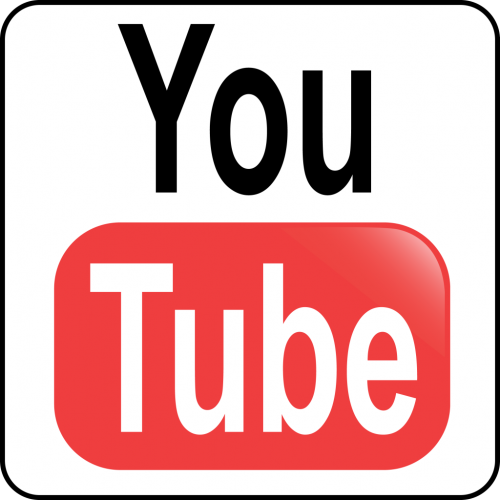 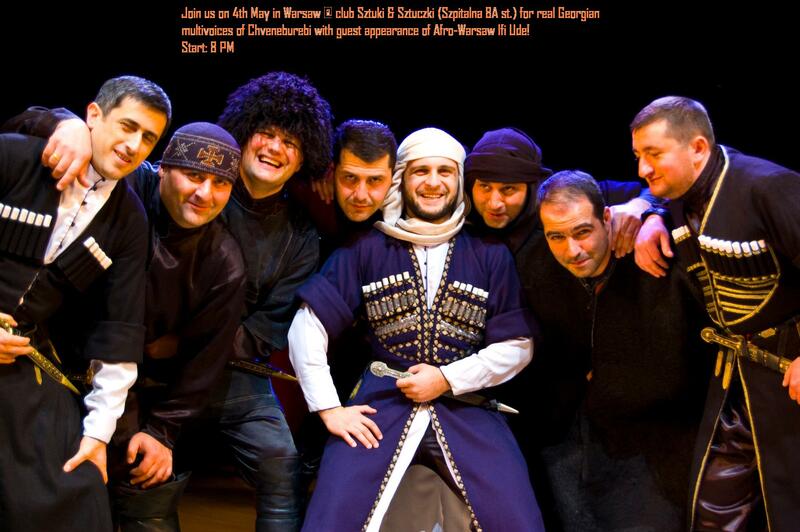 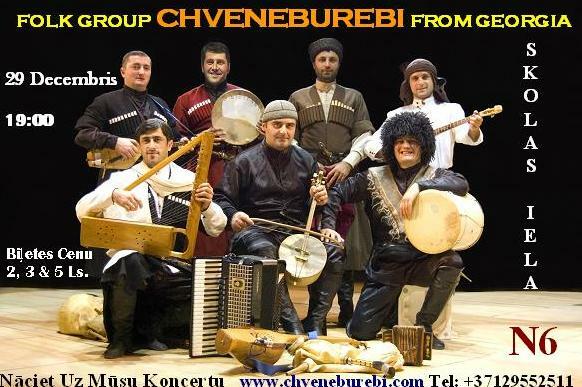 In November 26, 2011 in Rustavi Theatre Chveneburebi successfully performed the concert dedicated to the 10 years anniversary of the group. 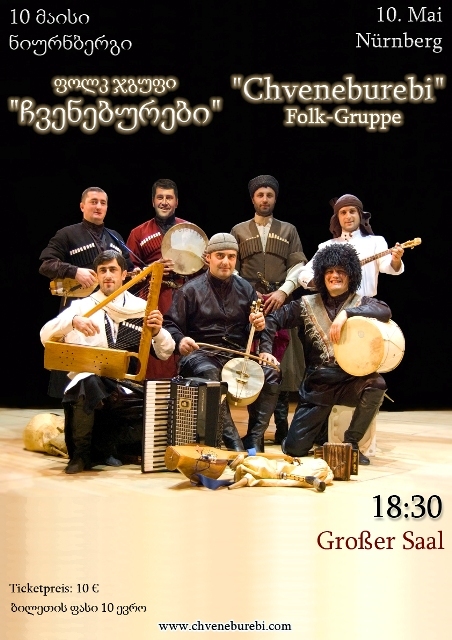 In October 15, inside the walls of the ancient fortress of Gonio (Batumi) the folk concert and the reward ceremony of the best folk groups participating in the Festival Art-Gene since its foundation was organized. 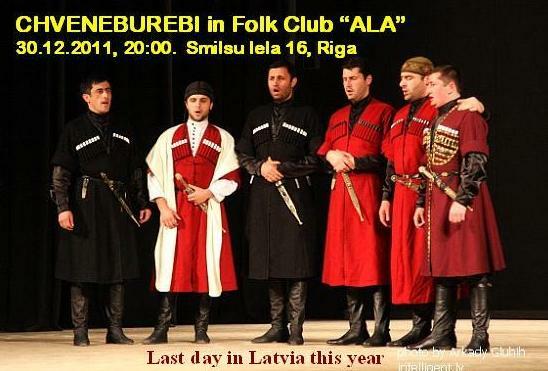 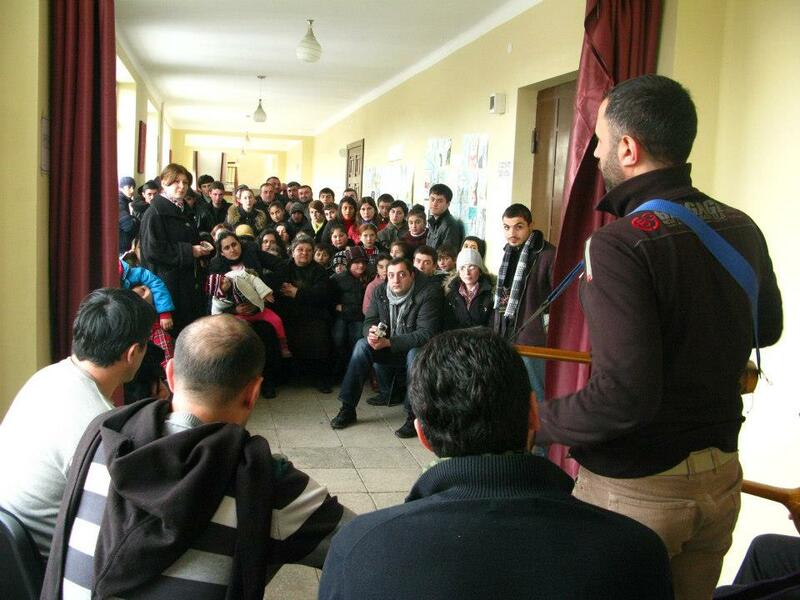 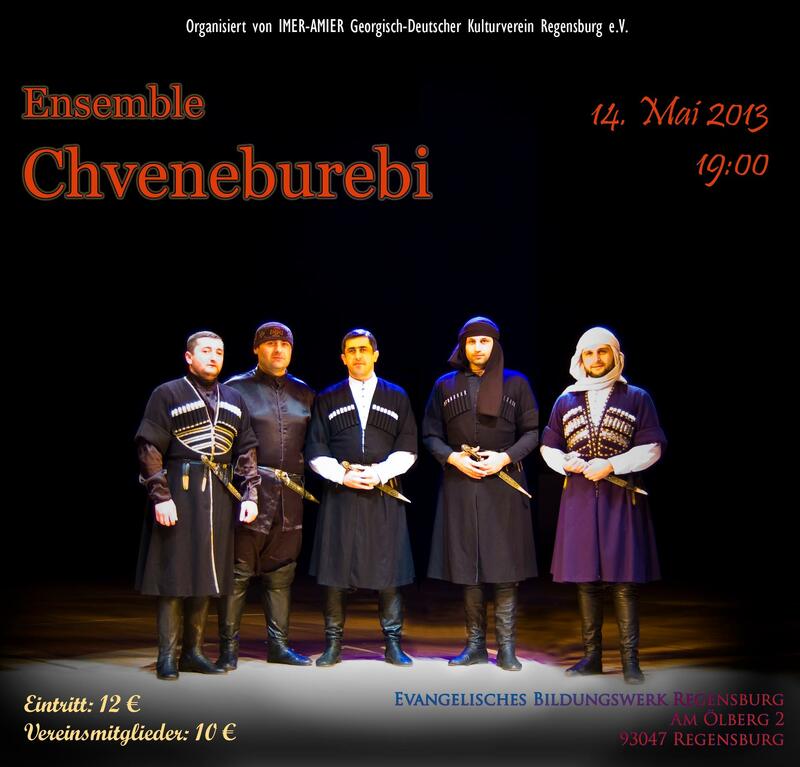 The day ended with the solo concert of the folk group Chveneburebi. 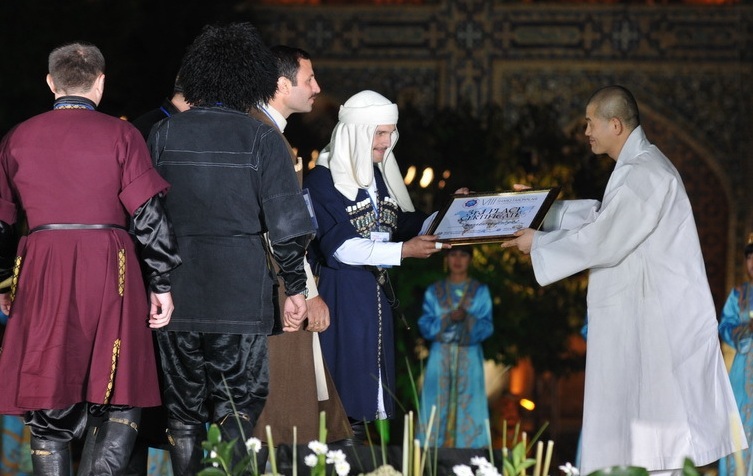 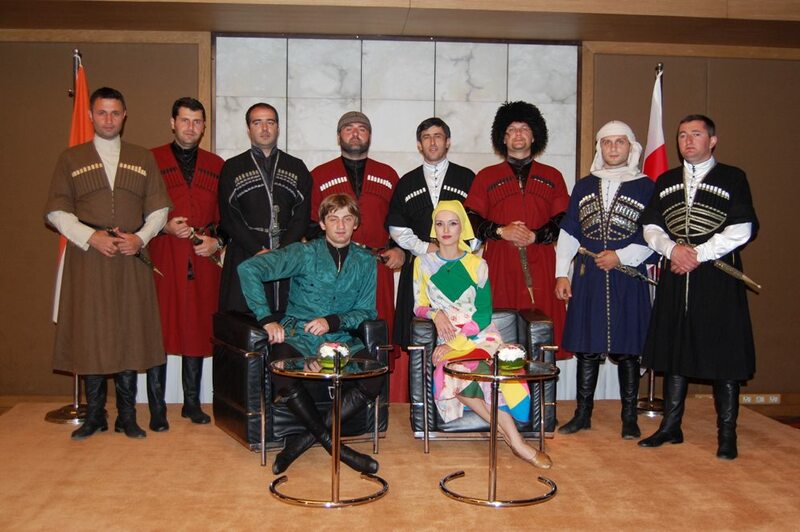 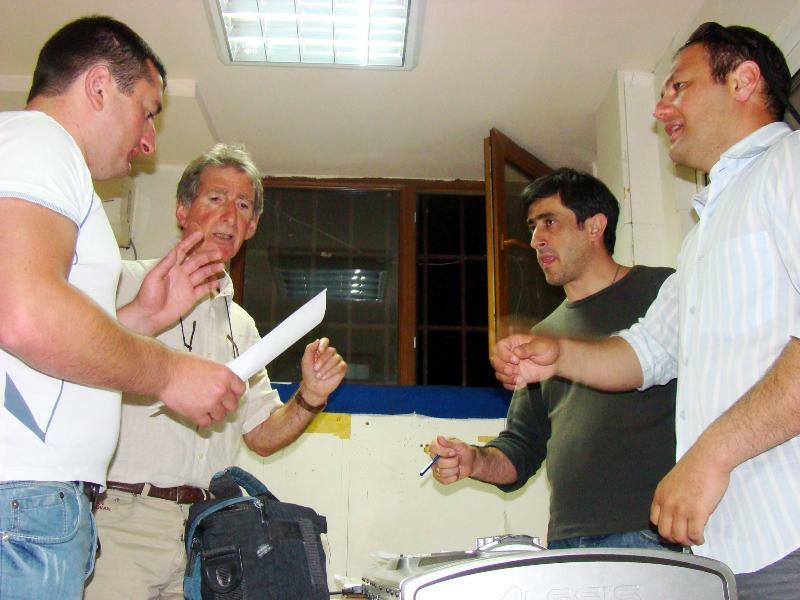 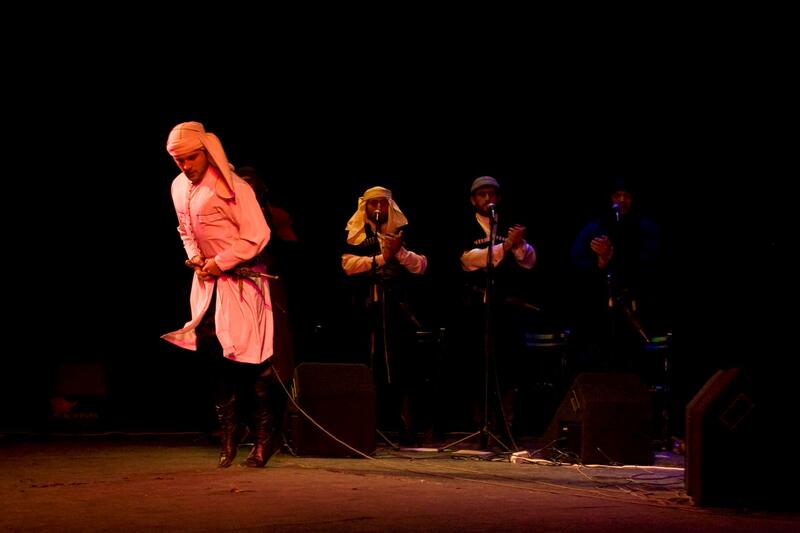 During August 22-31, 2011 Chveneburebi were in Uzbekistan to take part in an international festival-contest "Sharq Taronalari", which was held in the ancient city Samarkand. 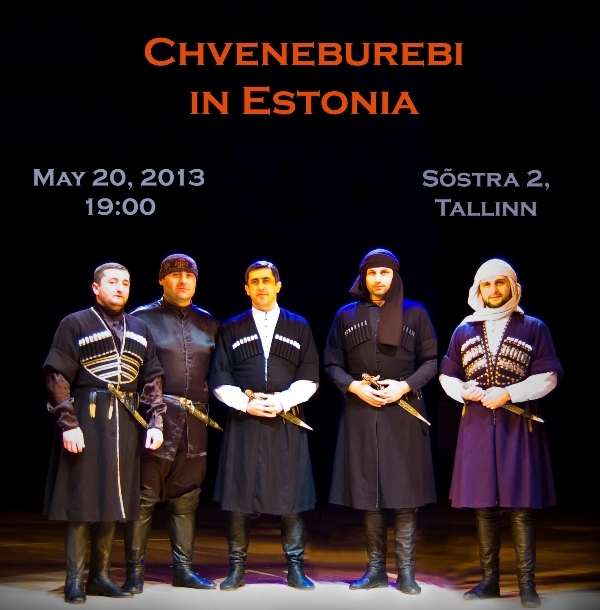 Chveneburebi performed two solo concerts in Viljandi, Estonia at the Viljandi Folk Music Festival. 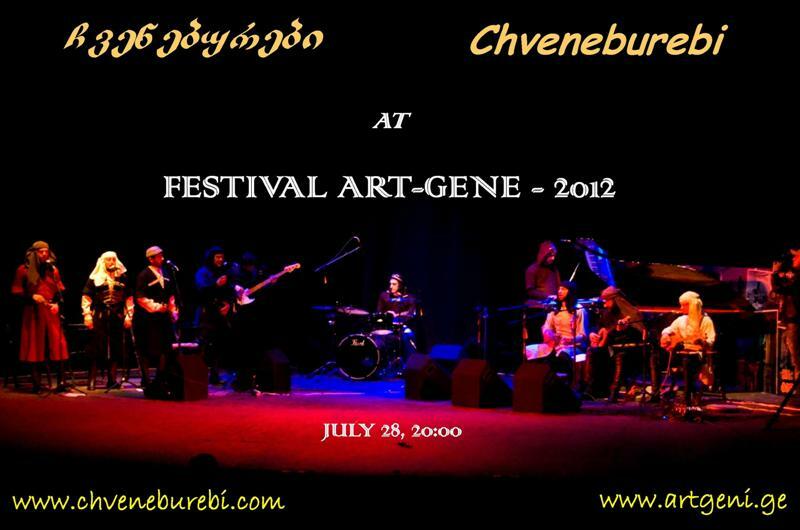 On July 21, 2011, at the festival Art-Gene the solo concert of Chveneburebi was distinguieshed by the one of the highest levels of public attendance. 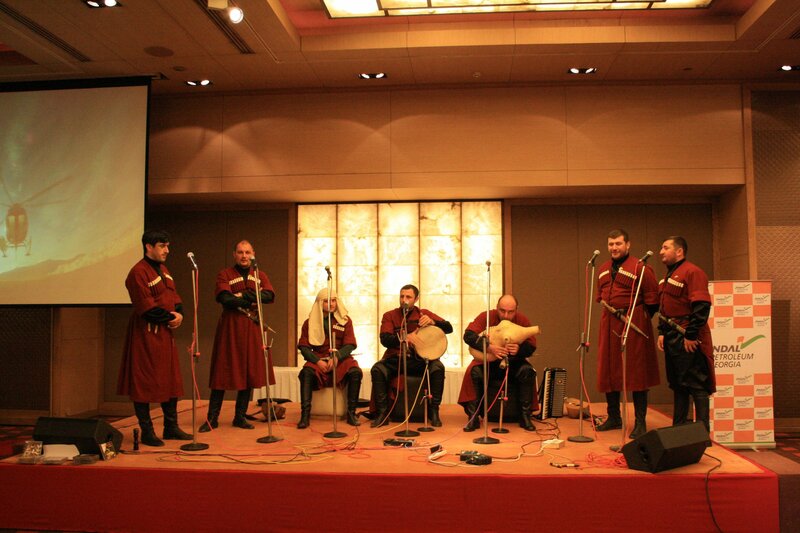 The Embassy of Georgia in New Delhi celebrated 20th anniversary of Georgia's Independence.